Containment, in restoration, is a barrier often made of Poly-sheeting and held in place by tape. It's used for a wide range of jobs. Containment system are used to protect other areas of the home and to keep dust, fine particles and hazardous materials confined to the work area. 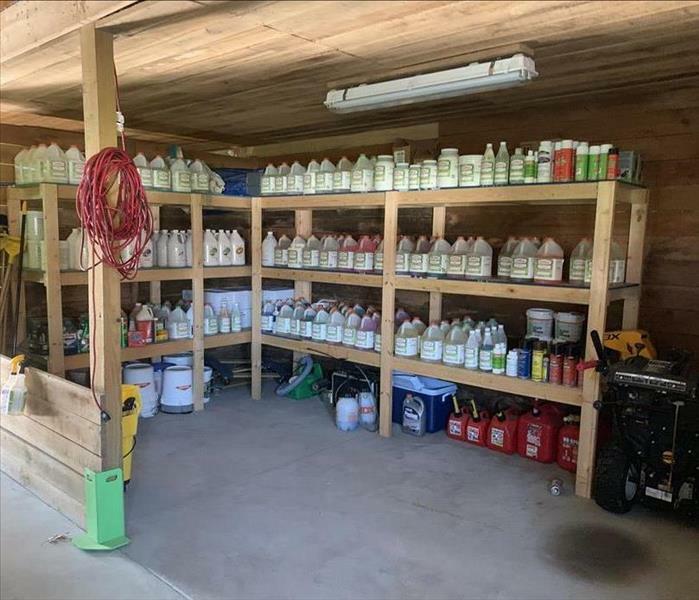 This is a picture of some of the products that we store so that when we are called to a water job, we are ready with cleaning and disinfectant products, protective equipment and protective products for your home. Meet Phoebe and Cracker, Chihuahuas that belong to Kim, the owner, and Adam. 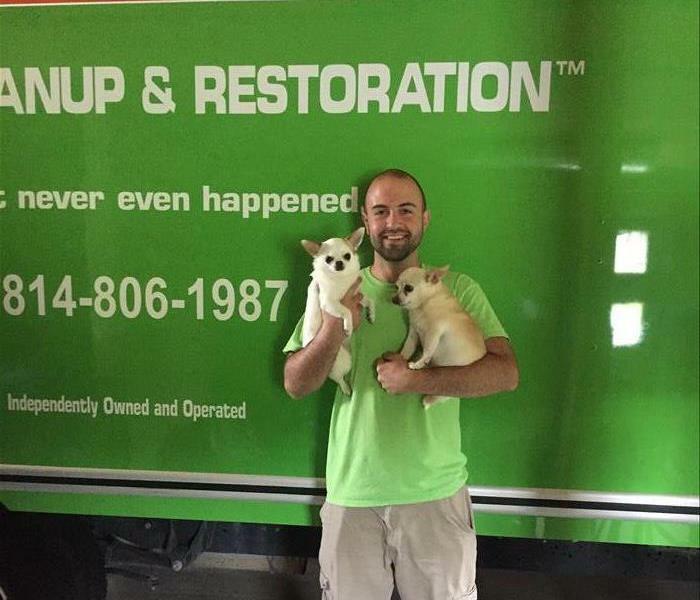 They enjoyed take your pet to work day and meeting the SERVPRO crew that services Erie County Pennsylvania. 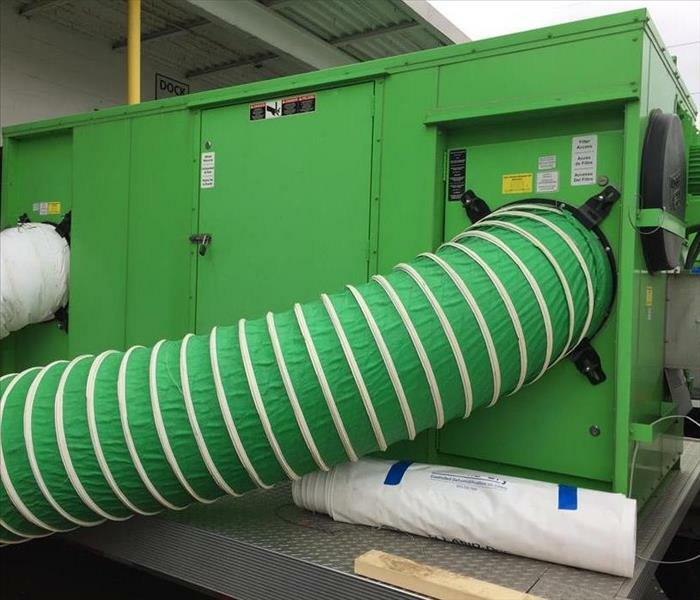 For Commercial or Industrial size jobs, we have access to large commercial sized desiccants to dry out and control the humidity in the facility. This is a picture of a desiccant that we used on a job in Erie, PA.
SERVPRO of West Erie County likes to support the Erie Community. In June 2017, we supported and participated in the 7th Annual Dennis J Crotty Memorial Golf Outing with prime sponsors Community Resources for Independence and Crotty Insurance Agency. It was so much fun and the Hospice Wraparound Program was such as worthy cause to support. It's an annual event in honor of Dennis Crotty. We loved meeting new people and spending the day with all the golfers from the Erie area who supported this great event. We realized many people have provided their support for this cause for many years. Awesome job! !